I just got a telephone call from a patient complaining of eye pain. Triaging the complaint is probably the most important thing a doctor or staff can do. There are certain questions that must be asked when trying to ascertain the reason for the pain. Is it one eye or both? Is the patient a contact lens wearer and was he/she wearing the lens when the pain started or after removal? Is the eye red, tearing, or oozing? Are the eyelids stuck together? Was there any trauma to the eye? Once the questions are asked and the eye doctor has an idea about the case, the patient’s eyes need to be checked thoroughly with a microscope called a slit lamp. This instrument magnifies the doctor’s view from 6 to 30 times aiding with the diagnosis. In some cases, dilation and an internal eye evaluation must be done. Severe pain may be due to a corneal abrasion. Moderate to severe pain may be due to a corneal ulcer, which is a bacterial infection usually caused by injury, underlying disease or over-wearing a contact lens. 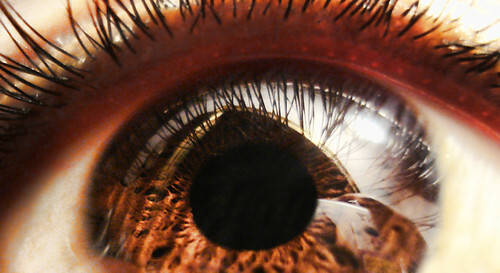 Deep pain may be due to blunt trauma indicating a medical eye emergency. Mild pain can be caused by a simple red eye or allergy. Whatever the reason, it is always a good idea to seek eyecare from a qualified eye doctor if your eyes are not seeing well, looking good in a mirror, or feeling good. Have your eyes examined regularly. I am definitely agreed with you there that we should not take our eyes for granted. Eyes are one of the most important sensory organs. It’s very important to take care of our eyes and maintain healthy eyesight. .-= Cristian´s last blog ..Lentile de Contact Lucruri de stiut inainte de achizitionare =-. Poor vision can hinder a child’s development, and failure to spot and deal with any inadequacy in young eyes can often lead to even bigger difficulties in later life. So, it’s vital that children are taken for regular eye checks.